This bold, colorful chart makes it easy to find out which life-forms existed on Earth during any stage of the Geologic Time Scale, from the Precambrian to the Cenozoic. 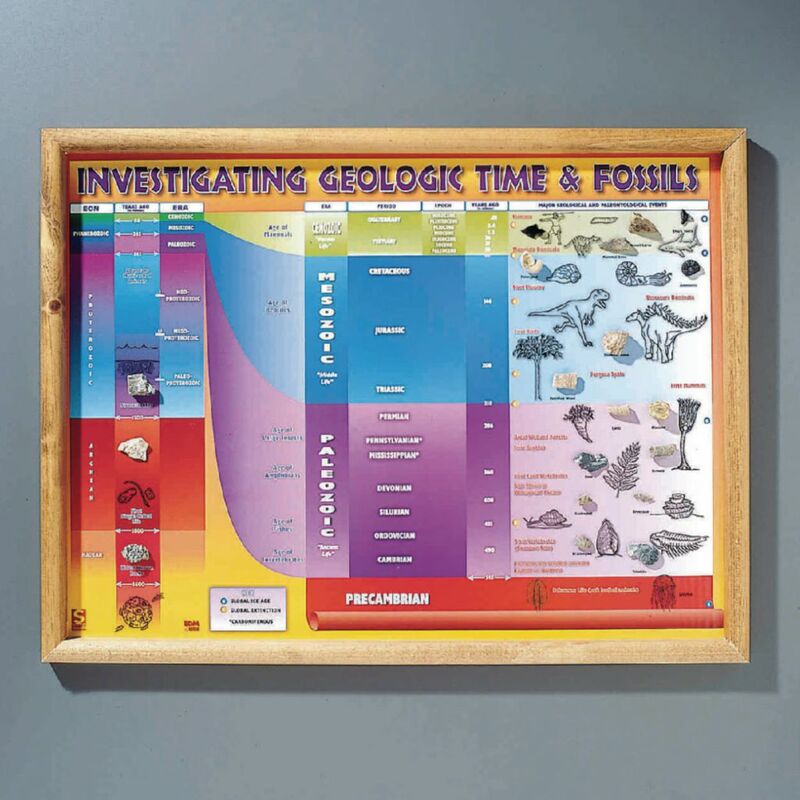 The chart is mounted in a wooden frame. Size: 18" x 24".